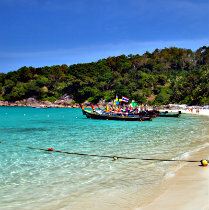 Thailand has numerous beaches with large stretches of sand and crystal clear waters. 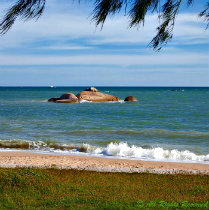 These beaches offer all kind of activities like swimming, surfing and snorkeling. 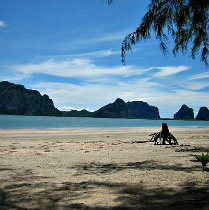 Following is a list of the most popular beaches in Thailand. 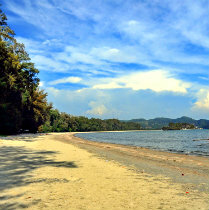 This 6 km long beach is home to two resorts, Thai Life Homestay Resort and The Hip Resort; flooded with cashew nut and coconut trees, this beach of Bang Muang is usually deserted. 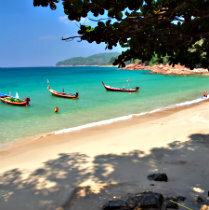 Located on Khanom Bay’s south, this beach is a beauty; in the absence of heavy tourism, the beach can be enjoyed to the brim from its white sandy allure to its palm-tree-dominated backdrop. 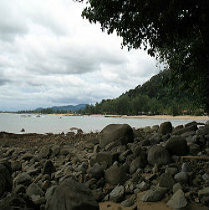 Lacking slope, its sand is not as per one’s wishes; money-valued delicious seafood comes as a saving grace; nearby national park gives access to numerous, though secluded but ‘better’, beaches. 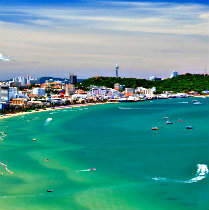 With a broad shoreline, the beach, about a kilometer long is home to dance festivals like Full Moon Party; nightclubs, restaurants and accommodations like bungalows dominate its southern portion. This 500 meter of land is a quiet place to be at; it offers dining options through a set of quality restaurants in addition to vendors; Casuarinas trees and numerous rocks add meaning to its appeal. 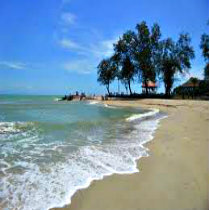 This beach acts as a symbol of Songkhla and is specifically most noted for the statue of Mae Thorani as the mermaid; as it is such a crowd puller, it is easily accessible through Hat Yai-Songkhla buses. This isolated beach is a true gem, its 180 meters of sea-soaked land is home to a single seafood restaurant; with its unusually clear water, swimming is a good option from November to May. 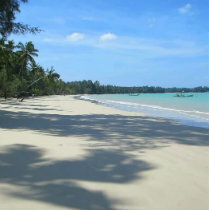 Clear water and soft white sand are its main highlights; only accessible via long tail boats, enjoy the transfer to this beach which despite being the most populated one is quite quiet and welcoming. Crescent in shape, this 4 km stretch of a beach offers numerous things ranging from high-end resorts to floating restaurants to diving boats to rush adventures like parasail and jet skiing etc. This 6 km stretch of land is a bit controlled and quieter than is neighbors in the North; still it is a great hit because of its numerous attractions and a beach whose biggest highlight is its clear and untainted water. 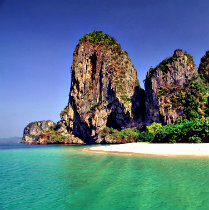 Also known as Nopparat Thara, it comprises of a 3 km of a quiet sandy beach and the fact that it is a part of Hat Nopparat Thara-Koh Phi Phi National Park, assures an eye-pleasing natural backdrop. In addition to white sand and limestone cliffs, this beach is also home to Tham Phra Nang Nok, a cave where the local fishermen come to pay respect through offerings like wood carved sculptures etc. 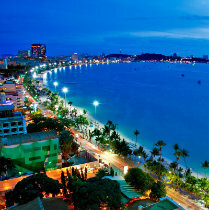 Biggest in Koh Samui, this beach, in addition to accommodation and eating options is most famous for its notorious nightlife fuelled by numerous bars and pubs capable of meeting the needs of all. 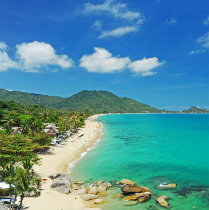 Second-largest resort hub after Chaweng, Lamai beach is as gumptious as they come with numerous eating, shopping and stay options plus the availability of numerous water activities. 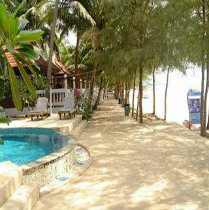 Dotted with numerous Bungalows and resorts this beach is just a small walk away from Khao Lak town, hence, various shopping venues and restaurants can be visited anytime as per one’s wish. 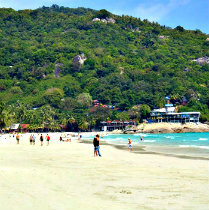 Located on the south of headland, this beach marks the southern boundary of the region; though a small beach, it is most popular among the travelers for its quality resorts and hotels.